Whether you’re looking to explore cutting-edge technologies, connect with experts or add technical credentials to your resume, plan on experiencing many exciting offerings at Think 2019. This flagship technology conference—February 12 – 15, 2019, in San Francisco—features a Cloud and Infrastructure Campus hosting over 200 sessions, interactive demos and hands-on labs that span the full range of IBM infrastructure solutions. Here’s an overview of compelling topics and sessions at your disposal featuring IBM Power Systems, IBM Z, IBM LinuxONE, IBM storage solutions and quantum computing. IBM Power Systems servers drive the world’s most demanding enterprise workloads, from artificial intelligence (AI) to SAP HANA. They also offer tremendous flexibility, enabling organizations to deploy servers in the model that best meets their needs in private, public and hybrid clouds. At Think 2019, you’ll hear about the steadfast IBM commitment to supporting an array of operating systems, including Linux, AIX and IBM i. You can learn about unleashing the full potential of AIX on Power Systems and how organizations are innovating with IBM i. In addition, discover ways to capitalize on the flexibility of the Power Systems platform as part of a multicloud strategy. For example, you’ll learn why Power Systems is the right choice for cloud-based high availability and disaster recovery, SAP HANA cloud deployments, AI in a private cloud and more. 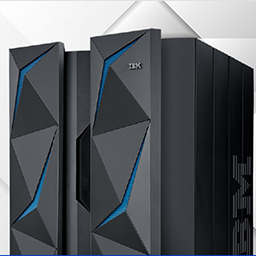 Today’s IBM Z is designed to handle a wide variety of emerging business challenges and support new technologies, all while delivering the performance, reliability and security that enterprises expect from these systems. 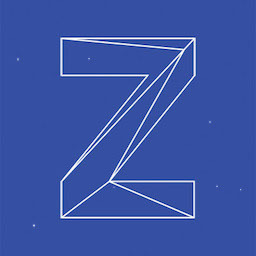 At Think 2019, learn the benefits of using the modern IBM Z platform for a variety of machine learning use cases and check out some IBM solutions for operationalizing machine learning models on IBM Z.
IBM LinuxONE enterprise systems will also have a strong presence at Think 2019. Hear why a growing number of organizations rely on LinuxONE for core business functions and differentiated customer experiences. For instance, learn how LinuxONE is helping to spawn banks of the future. 50 Years of Application Serving—What Will the Next 50 Years Bring? IBM Storage plays a vital role in supporting critical business functions and workloads such as AI and analytics. But as many organizations are finding, successfully deploying and managing storage can be a daunting challenge. Administrators are faced with rapidly expanding data volumes, new types of data and a growing number of locations where data is stored. At Think 2019, you can explore new ways to address mounting storage challenges. For example, attend a roundtable on winning multicloud storage strategies plus sessions that present solutions for simplifying multicloud storage orchestration and enhancing data protection in a hybrid, multicloud world. You can also learn what you need to know about the NVMe revolution in storage and hear from experts on how to choose the right storage for your workloads. Quantum computing is not science fiction. For decades, IBM has been advancing this innovative paradigm, which fundamentally changes the way information is processed. Today, IBM enables organizations to tap into the power of functioning quantum computer prototypes. Here are my top picks of sessions that you can’t miss to learn about IBM Systems from all fronts. Inspiration: Hear talks from legendary NFL quarterback Joe Montana, skateboarders Tony Hawk and Rodney Mullen, and astronaut Steve Smith. Take a look at the list of all the speakers scheduled for Think 2019. Immersive experience: Join us for a unique, multisensory, immersive experience that will lead you on a digital transformation journey. You’ll see stories of people who, like you, are changing the world. Networking: Expand your professional network, forge new partnerships and spend one-on-one time with technology visionaries. Numerous opportunities await you for connecting with technology experts and peers throughout the conference. Entertainment: Don’t forget to have a lot of fun while you’re at Think Enjoy a performance by actor, comedian and television host James Corden. Visit the Infrastructure Village to attend the VIP reception on Wednesday, February 13 at 7 PM local time. Step outside the conference center to explore San Francisco. And wrap up your experience with a blowout private party on the iconic Pier 39 on your last night in San Francisco. Register today for Think 2019. The event takes place in San Francisco, California, February 12 – 15, 2019. We look forward to seeing you there!